Filling out the information at the top of this page is optional. 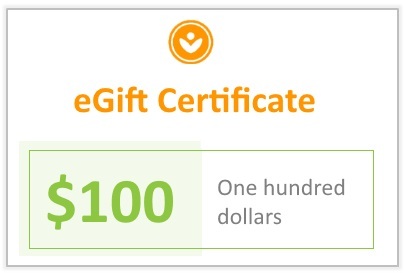 If you are sending this gift certificate as a gift to another, and if you want the intended to receive an email notification, then enter his/her information in the spaces above. An eGift is a thoughtful gift of health! It's a wonderful surprise that lets the recipient select what's best for him or her. Share wellness with family, friends or colleagues! Note: Discounts or coupons cannot be used to purchase gift certificates. Please keep the egift certificate number secure. Any redeemed amount cannot be refunded.